Energize your run with the Nike Men's Power Run 1/2 Tights. 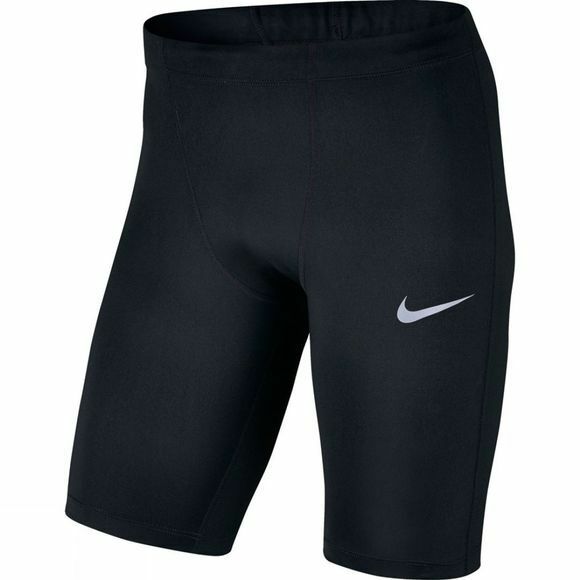 Constructed from Nike Power Material they have a tight and super supportive fit. Elastomeric yarns stretch and recover for a supportive feel and optimal range of movement. 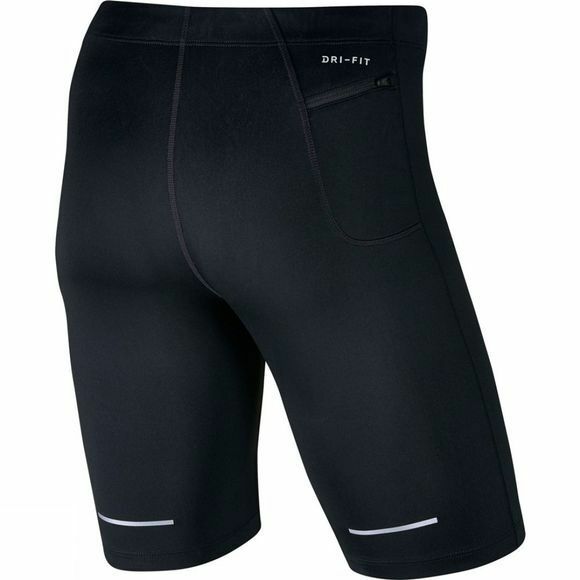 A handy pocket with vapour barrier is perfect for keeping essentials dry, and with added reflective detailing they are perfect for keeping you safe and seen as you push to challenge your pace.